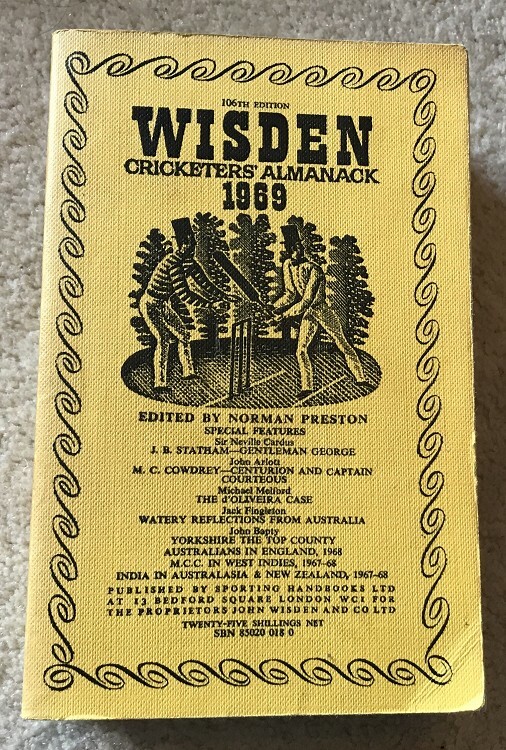 This lot is a 1969 Original Linen Wisden. The covers are bright and clean, hardly a mark , no bowing to the spine although the spine cloth is a tiny bit lighter than the rest of the book. Internally superb apart from a book plate to page iii and a spolodge to the top of the page block and shelf wear to the base. A very good book.